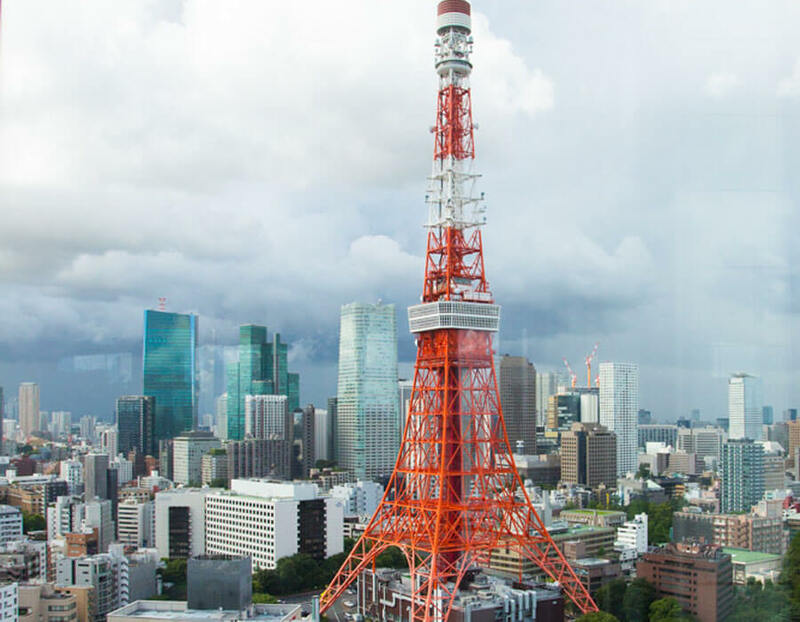 Even though the recently built Skytree is taller and fancier, many tourists and Tokyo locals still prefer the old Tokyo Tower. 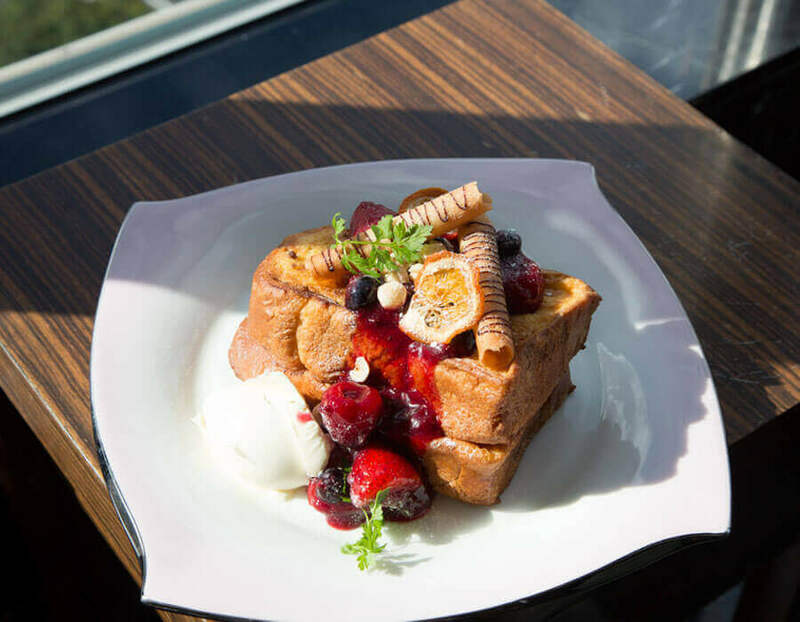 Get a bird’s-eye view of it from the Sky Lounge Stellar Garden on the 33rd floor of the Prince Park Tower Tokyo. The best view can be snagged in the ‘couple seats’ by the windows. Sip on a glass of wine and enjoy the vista. 1. 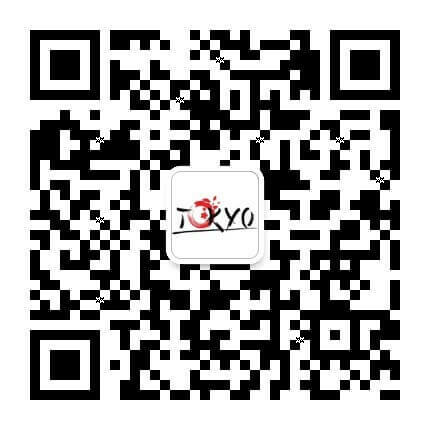 Enjoy a spectacular view of the skyline and the city’s most iconic landmark, Tokyo Tower, over drinks. 2. 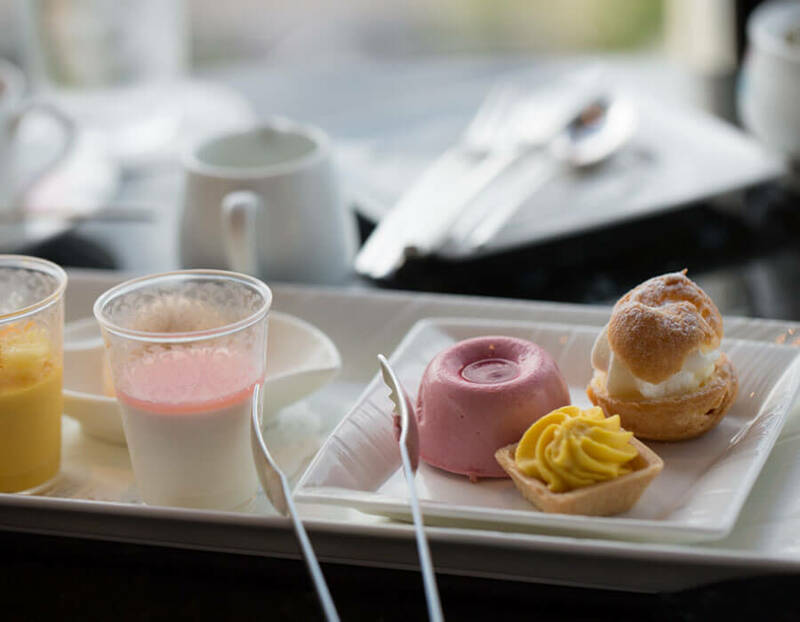 Indulge your sweet tooth along with your sense of adventure, with delicious pastries and other tasty treats. 3. 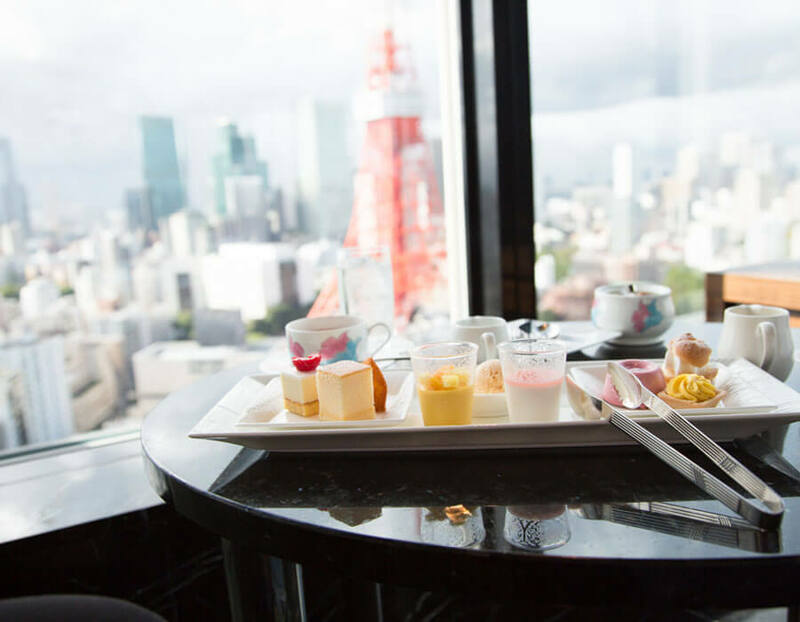 Enjoy a relaxing afternoon tea for two backed by the stunning Tokyo Tower view. 4. Big tastes come in tiny bites! Cream puffs, puddings, tarts–which is your favourite? 5. 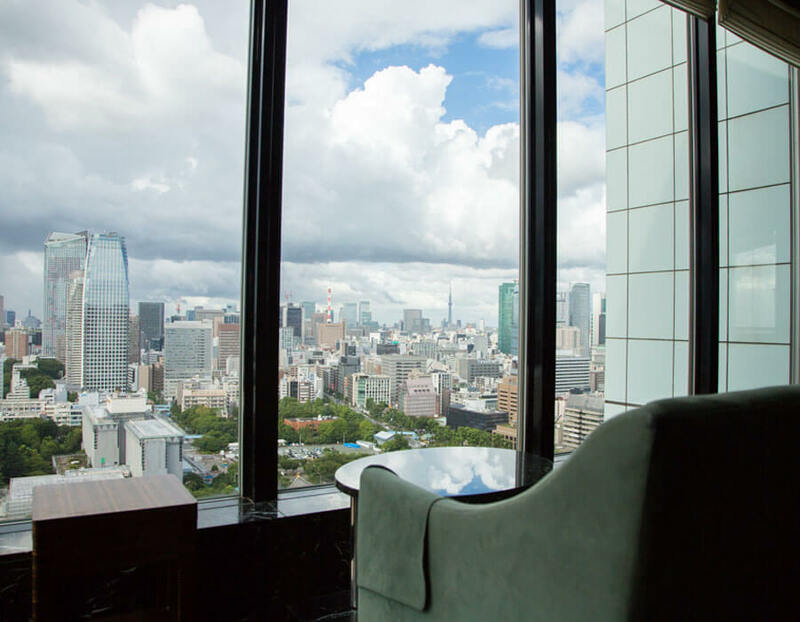 It’s easy to spend a relaxing afternoon overlooking the city from a comfy sofa here in the 33rd floor lounge.